4287 ft (1307 m) . 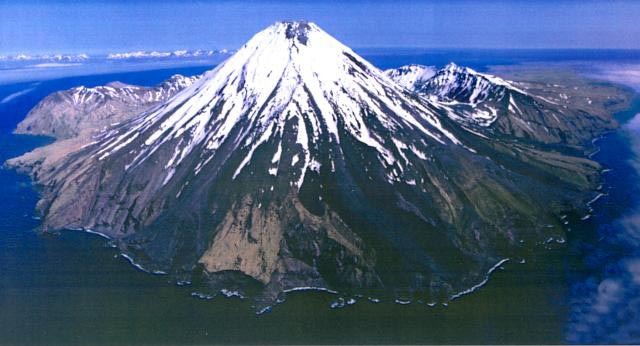 Kanaga Volcano is a spectacular symmetrical cone situated on the northern tip of Kanaga Island. 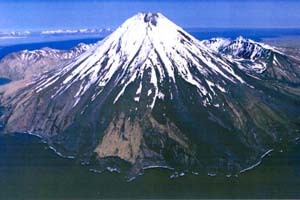 It is a youthful volcano formed within an older caldera, whose remnants can be seen as the crescent-shaped Kanaton Ridge just to the south of the cone. 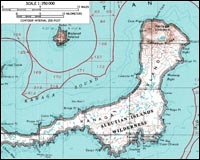 The most recent eruptions in the mid-1990s sent lava flows from the summit crater all the way down into the sea on the north side of the volcano. 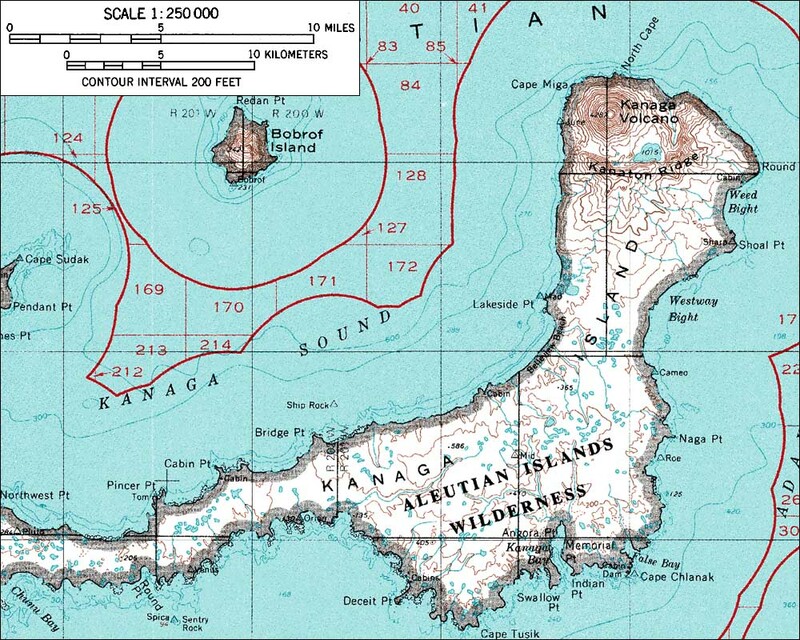 Since Kanaga is located just 15 miles (25 km) west of the "major" city of Adak, access should be somewhat easier than for many other locations in the outer Aleutians.